Hampshire Mezzanine Floors is a safety conscious company. All work is undertaken with care and attention by trained, skilled staff. All work conforms to S.E.M.A. and relevant British Standards. 1. Hampshire Mezzanine Floors have £5,000,000.00 Public Liability / Product Liability insurance. This large amount of cover provides you complete assurance protection. 2. Hampshire Mezzanine Floors is a true tax registered main contractor with CIS 5 tax certification ensuring that nominated sub – contractor are covered under the correct payment arrangement. 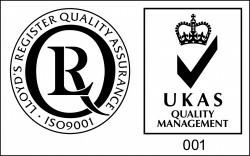 Hampshire Mezzanine Floors shall develop and maintain a Quality Management System that conforms to the requirements of ISO9001:2008 so that we can provide and maintain a consistently high standard of work in all tasks we undertake. Our Quality Management System shall ensure that proper communication, process control and accountable records are generated for all work undertaken. For more information on Health & Safety, please contact us.